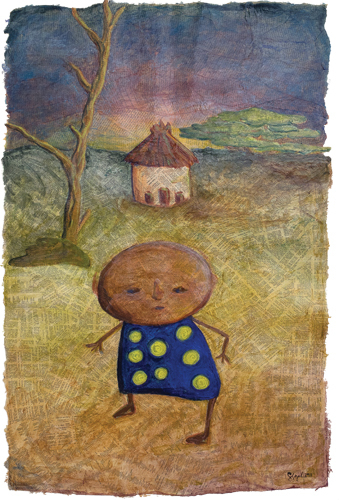 See work by Youth in Arts Mentor Artist and Program Director Suzanne Joyal, along with “Eco Art” by teens Suzanne works with in Zambia through her “Give a Jumpstart” nonprofit. Join Suzanne on Friday, October 9, during Art Walk Downtown for a hands-on workshop in her unique layered collage and painting technique. $10 donation to “Give a Jumpstart” requested. Youth in Arts Mentor Artist and Program Director Suzanne Joyal created the nonprofit “Give a Jumpstart” as an avenue for women in California to support women and their families in Kashikishi, Zambia. Suzanne travels to Africa each Spring with her “Give a Jumpstart” partners to provide women’s health counseling and education, along with an “Eco Art” program for youth. Kashikishi teens make art with Suzanne each year through an eco art program grounded in using available recycled materials. The program links to Suzanne’s own childhood in rural Maine, creating art out of found and discarded objects, and to her professional work in recycled material mixed media. “IMABAMA Something From Nothing” will include original work by Suzanne and her students, along with beautiful color photographs and cultural objects from Zambia. Free gallery tours for PreK-12 students will focus on African culture and the use of recycled materials in visual art and will include an age-appropriate hands-on project. By appointment only, M-F.